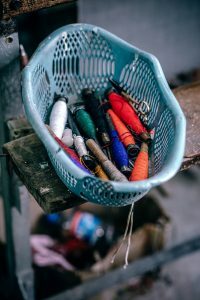 Custom t-shirts | Wordans T-shirt Blog | Make T-shirt! Fashion jewellery has arrived at Wordans! Wordans Canada is finally able to offer it’s clients an assortment of fashion rings, bracelets, necklaces and rings. Fashion jewellery is the finishing touch to any outfit. Having the perfect dangling pendant necklace. Wearing a ring that matches the colour of your other accessories. Accessories create cohesiveness in an outfit. I have pulled a few items from the Wordans Jewellery site that are my personal favourites. Wordans is carrying three styles of rings. The first is traditional settings with unique stones. 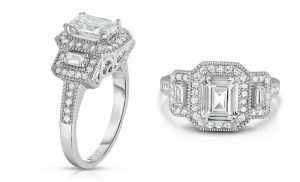 For example, this emerald cut mystic stone. 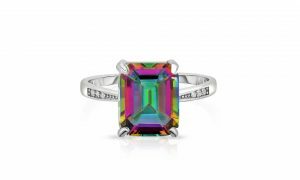 Shining in a vast array of colours, this ring will match any outfit and catch the eye. The second style of ring available is unique designs. 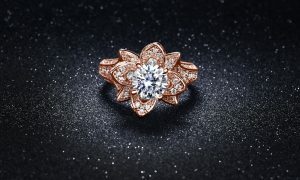 This micro-pave flower ring is available in rose gold, gold and sterling silver, embedded with crystals and a central cubic zirconia. This ring is a beautiful statement piece that will look great on basic styled clothing. Lastly, is the traditional rings. 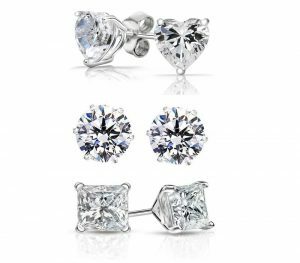 Gorgeous sterling silver or gold plated rings with traditional settings and Swarovski or Cubic Zirconia crystals. This trinity halo ring is a beautiful reminder of the past, present and future. Wordans has available two styles of bracelets. The first is the classic tennis bracelet, available in a single, double or triple row Swarovski crystals set in gold, white, or rose gold plated settings. What I love about this bracelet is that it is completely adjustable from 4″-8″. Our second bracelet is the charm bracelet. This bracelet rose in popularity in recent years and Wordans has numerous styles available in blues, pinks, oranges, reds, champagne, green and many others. 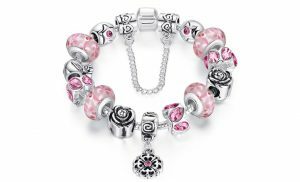 Each charm bracelet sports has real Murano glass beads. These beautiful charm bracelets have hanging chains and accent beads. Firstly, Wordans has both hoops and studs available. The studs come in two different styles. 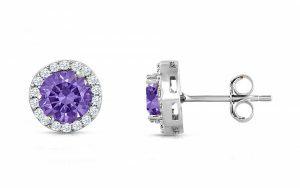 The first is halo style cubic zirconia sterling silver halo earrings with a colourful centre crystal. These studs come in pink, champagne, green, blue, purple and many more. Wordans also carries a wide range of studs. Studs range from 4.00-6.00 CTTW Swarovski element crystals and are cut in circle, square and heart shapes. Finally, there is a WIDE selection of hoops available. Each sports a variety of embedded crystals. They are available in a multitude of colours and settings. These hoops are perfect for every outfit. The hoops have multi-coloured, two-tone and single coloured options. 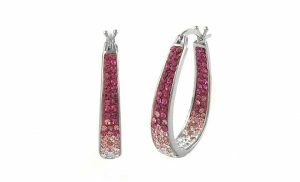 Wordans carries 25 different options of these beautiful and lightweight hoop earrings. You can match a pair with any outfit. Jewellery has arrived at Wordans! Come take advantage of our deals. Winter is always a tough time of year, and getting through the winter warm is a challenge in Canada. Whether you are on the East Coast and dealing with high winds or West Coast with heavy snowfalls or central Canada with subzero temperatures. No matter where you call home, there is always a rough winter. 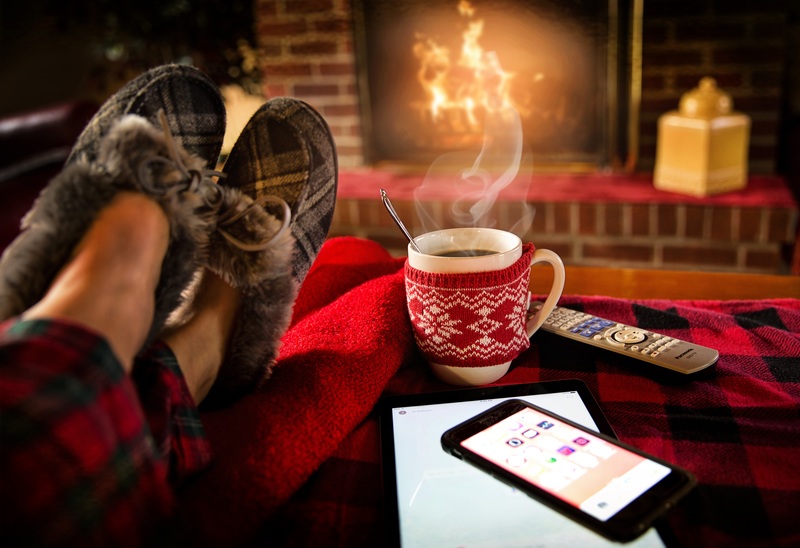 Getting through the winter warm is as easy as to finding the perfect place to spend the winter season indoors. With a nice hot fireplace, some coffee or hot chocolate, and good friends and family. Unfortunately, we all have jobs and someone has to run out and get more hot chocolate. Finding the perfect winter coat is the only solution to keeping warm all season long. 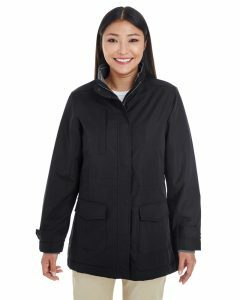 Wordans carries a wide selection of coats for every season, including some great winter wear. 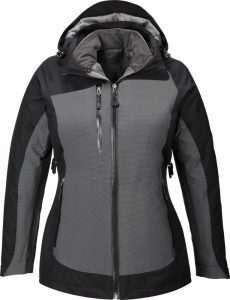 My first pick for a winter coat is the Ash City North End Seam Sealed 3-in-1 jacket. This coat is the perfect coat for all winter long. It has a polyester and nylon shell. 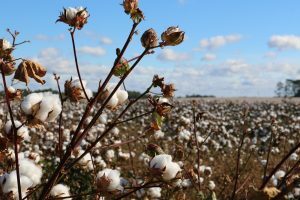 Polyester is naturally hydrophobic, so it completely repels water up to 2,000mm. This material is also breathable so that you won’t overheat. Polyester is also stain resistant and naturally anti-microbial so that your coat won’t smell or stain from long usage. This coat’s 3-in-1 layering means you will be getting through the winter warm. This coat is available in both men and women’s sizes. Secondly, is the Devon & Jones Midtown Fabric Jacket. 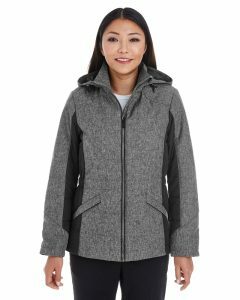 This is my second favourite coat available with Wordans because it’s fabric exterior and interior are perfect for battling the humid cold. 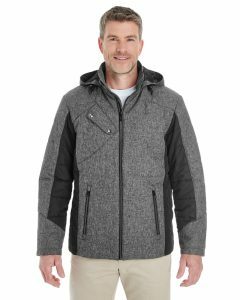 This coat boasts poly filling on the arms and body. This material is the same as fleece material, so you keep warm whilst staying dry. This coat is available in both men and women’s sizes. My final choice is the Marmot Precip Coat. 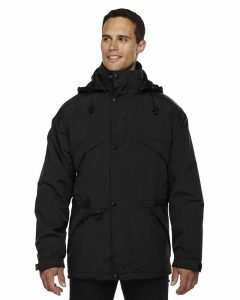 This coat is not the best coat by itself but is a fantastic waterproof shell. This coat, when matched with a fleece sweater will get many a person through the winter season nice and warm. Like my other choices, this piece is available for men and women. Do you want to add a little touch of modernity to your living room? There is some amazing modern trends happening in modern furniture. My favourite trend in living room seating is the blending of old classic designs with modern fabrics, prints and flairs. I have hand-picked a few pieces, from the Wordans Canadian catalogue, that I think match this trend and are fantastic addition to anyone’s living room. Pulling away from the solid colouring of contemporary furniture and adding a one or two printed pieces can make a huge change to the vibe in your living room. 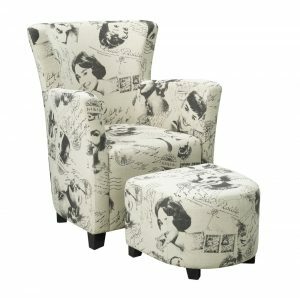 The Candace & Basil Club Chair & Ottoman is a fun addition for several reasons. Firstly, the print is a fantastic blend of classic women in film, featuring Marilyn Monroe and Audrey Hepburn. 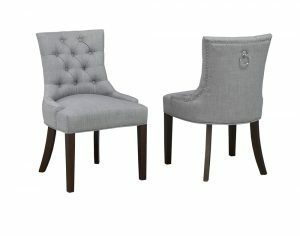 This chair has the classic wing-back design with modern clean stitching and a complimentary ottoman for extra comfort. Modern black and white tones also adds a little touch of modernity to this piece. Secondly, a print chair I am in love with, the Candace & Basil Abhay Accent Chair. 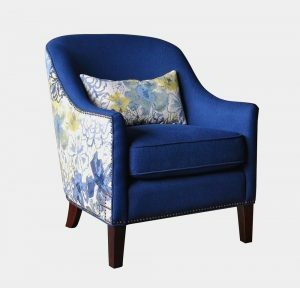 This gorgeous chair sports a white print on three sides of the chair, with a lush blue fabric and accent pillow on the front. The chair sports a vintage low-back design with brass nail accents and wooden flared legs. The stitching is ribbed, which is a modern tactic, and this chair has two statements from the front view and the side view. This is a colorful statement piece to add to a living room, office, or even bedroom. As a huge fan of literature, I am obsessed with Victorian furniture. 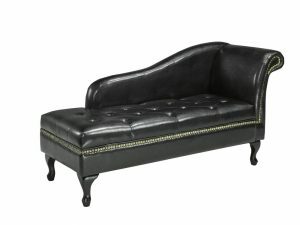 So I was VERY happy when the classic fainting couch, aka the chaise lounge, began roaring back into popularity. The Candace & Basil Chaise with storage is designed with pure classic design, from the tufted padding to the contoured legs. I also like that this unit has storage underneath the seat. With this unit you can add a little touch of modernity whilst boasting classic high-class styling and de-cluttering all-in-one! Accent chairs are also on the rise. Placing extra seating around your living room space gives a more inviting atmosphere to your house. The Candace & Basil Accent Chair has many of the design features of the Abhay chair. Brass nail trim and wooden flared feet but, this chair also includes tufted fabric. The small touches like the metal ring and rounded low arm base with streamlined fabric. This chair comes in a set of 2. A little touch of modernity…. Utilizing classic designs with modern flares, like prints, metal touches, or fabrics, is a great way to modern up your living room. Alright, Ladies and Gents, it’s time to admit it….it’s winter. Tis the season to stop exercising, eat some tasty foods to build up your winter fat stores and cuddle under cosy knit sweaters. Because seriously, we Canadians deal with mental health issues all winter long! 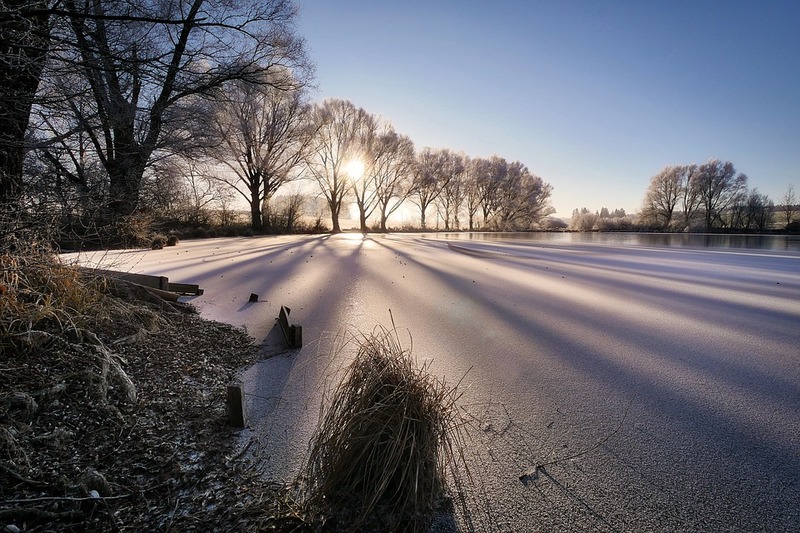 This is because shorter days mean less sunlight. 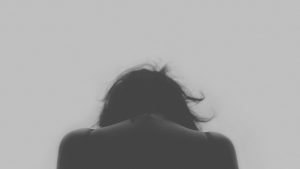 This causes a vitamin D deficiency in all Canadians, which means more anxiety, depression, and SAD (Seasonal Affective Disorder). Winter Fitness is the best method to battle Canadian Winters. It is the only way to defeat all the rain, silt, sleet, snow, and ice that is thrown our way. And leaves you with a rockin’ body for the following Spring/Summer! 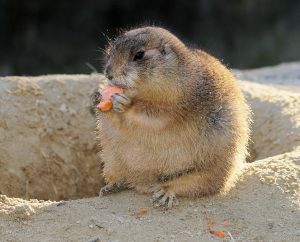 Ok, I want to exercise….. now what? To start, find a good pair of running shoes and socks! With a nice running shoe and, more importantly, properly lined fleece socks, you are already halfway out the door. Secondly, is the find the perfect workout layers. Let’s start with your shirt. 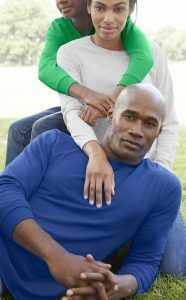 You should actively look for a style of shirt called a Performance Shirt because these are made with materials that pull sweat away from the body and leave you warm. These shirts usually have a polyester base, like the Gildan 42400 and 42400L. 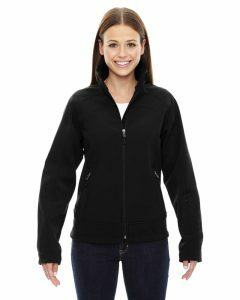 Thirdly, you will want a fleece layer. If the day is not too cold, this layer can be an autumn style jacket with waterproof shell and fleece interior. Look for Performance wear, like the Ash City North Series, because they are waterproof, but also warm up to -12. 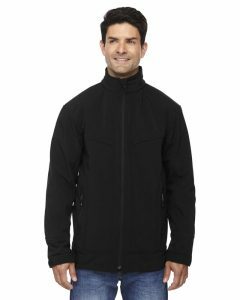 Lastly, if it is a colder day, grab a full warm jacket and wear a fleece sweater between your coat and performance shirt to ensure you are properly attired. So, don’t let winter stop you! Incorporate fun activities into your fitness, like snowshoeing, cross-country skiing, or winter ultimate frisbee! I always say “every wardrobe needs to have the basics in order to work.” Basics are those pieces that never really get put away during the winter or summer season. They are the building blocks of every casual wardrobe, the bottom layer of office wear, interviews, evenings with friends, etc. 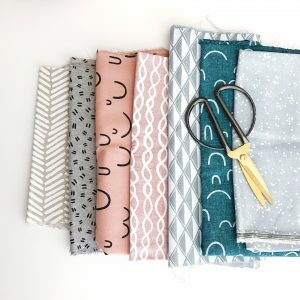 Not every piece of your wardrobe can be a standout piece or you will likely end up being a little too much to take at once….It’s time to start making the basics work! Each wardrobe should have a selection of shirts and pants that can be used in multiple outfits and of all the basics available, I think the t-shirt is the most versatile. T-shirts are useful for a wide variety of outfits. 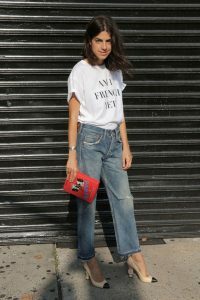 Glamour.com recently posted an article about how to create outfits with t-shirts. What could be more classic than the t-shirt and jeans? This particular casual look is perfect for going out and spices up with a dramatic clutch and heels. Our Next Level 6760 Ladies Triblend is a great selection for this look, it’s breezy lines give it a subtle curve that is perfect with your favourite jeans. Secondly, kick up the basic t-shirt and jeans with the perfect jacket and heels. This tiny touch to your daytime wear can get you ready to go out on the town in just a few seconds. Our Bella + Canvas 6035 coloured v-neck would add even more fun flair to this look. Furthermore, it’s time to rock some colour! Add a t-shirt to a full coloured suit for a bold statement. Using a t-shirt with bold pieces is a great way to break up a look. You can make a statement without being too much to handle. 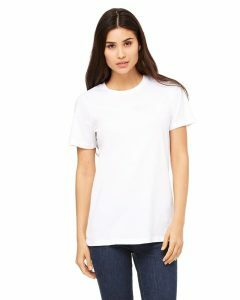 The easiest piece to break up a look is the classical Bella + Canvas 6400 white T-shirt. The round neck will allow for any accent jewellery to shine. Finally, up your look with a fun skirt. A beautiful and flirty look, you can feel complete movement and comfort with this style. You are ready for school, a day at the office or an evening with the girls. Dress up this look with a great clutch or messenger bag. 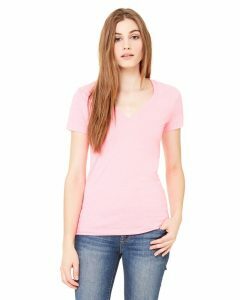 This look will be fantastic with any of our t-shirt choices, but I would like to suggest our Bella Ribbed V-Neck. This shirt gives wonderful lines to shoulders, arms and your waist. You can wear with a high fitted skirt or on top of a shirt of your choice. So, in conclusion, there are hundreds of more ways to utilize your t-shirt to it’s fullest potential. 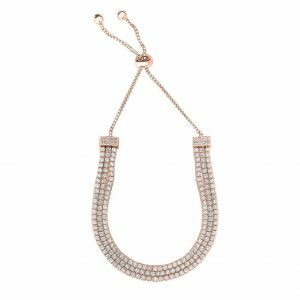 Wear it with long and dangling statement jewellery, knot the bottom edge and match with jean shorts, or sport a bright tee underneath a white knitted shawl or sweater. Making basics work is limited by the imagination only. With these looks you know you are making the basics work for you. 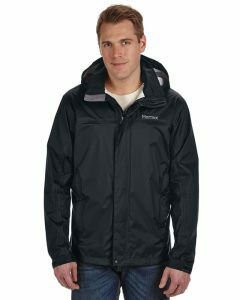 Wordans is working to put together fashion lines specifically for Canadians and Canadian weather! We Canadians, old and new, always struggle to get through the winter without looking like abominable snowpeople! Sometimes on cold days, we think the more layers the more warmth, however, there is a technique to beat Old Man Winter at his game with Canadian Layering. 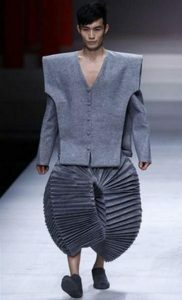 I’ve been living in Canada for 30 years and after much trial and error, I have finally figured out the best technique for dressing in layers without sacrificing my comfort or style. Layering is more difficult than it sounds. For instance, on a typical winter day you are walking through -20 weather and then jumping on the subway train that is +15. So how can you get to work without sweating like crazy but still being warm? 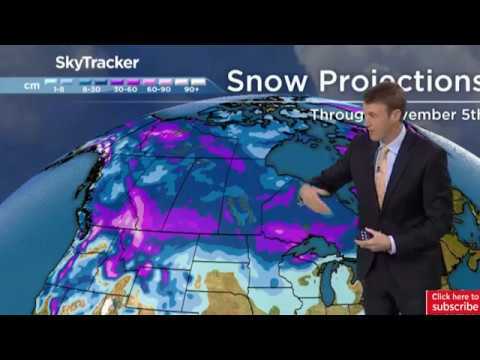 The most recent winter forecast from Global News suggests that a large portion of Canada is going to be covered in snow, so you are going to need clothing that keeps you warm, dry and mobile. Try Canadian Layering! 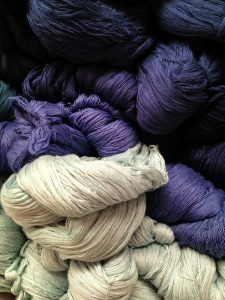 Your first layer should be a cotton or silk blend. A material that will absorb any sweat and pull it away from your bare skin. This is the most important layer to your entire outfit and finding a shirt with great material and looks good can be a challenge. Featured here are the women’s Gildan 5400L and our men’s Gildan 5400 cotton shirts. These are both available in a variety of colours and are almost 100% cotton. Our women’s shirt has a tapered waist and double stitching on the edges to give it a relaxed look. 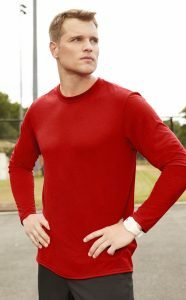 Our men’s shirt is a pre-shrunk jersey knit, that has a wonderful texture and sits well on any body type. Your second layer should consist of warmer materials. This layer should provide excellent coverage, as well as insulation. 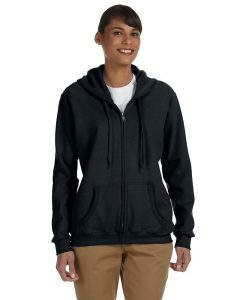 Hoodies, zip-up sweaters, or anything with fleece works great for this layer. 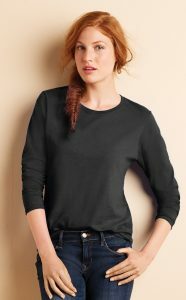 I am featuring here the Gildan G186FL Ladies and the Gildan 18600 Mens sweaters. They are both zip up’s which tend to minimize layering bulk. It also makes it much easier to remove layers as needed when getting onto the metro, or riding in a hot car or bus. The final layer, your jacket. One of the benefits of layering on top of a cotton or silk layer is that by the time you put on your coat you don’t feel or look bulky. You can switch your jacket layer from a heavy to a lightweight jacket depending on the temperature. Your jacket should not only have a warm liner but also a water-resistant shell. 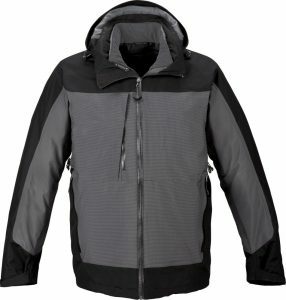 The shell is important because when it is snowing, the snow melts and can seep through your jacket and layers. 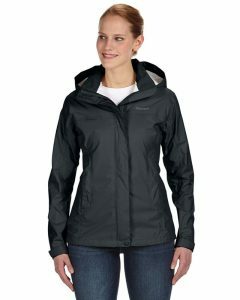 The Ash City North End men’s 3 in 1 Jacket and the Devon & Jones ladies Jacket are both warm and waterproof. Have a great winter!! Stay Warm! Introducing: A Whole New Furniture Collection! We at Wordans as always looking to renovate our offers and are also proactively on the thinking of ways to help our customers better. With that said we are proud to introduce our brand new Furniture Collection that is now available for all our Canadian customers! There are so many brand news items in store, from chairs, tables, sofas and stools to mirrors. As you’ve probably wondered by now, we are also able to offer outdoor and indoor solutions, like in the following suggestions we have for you! 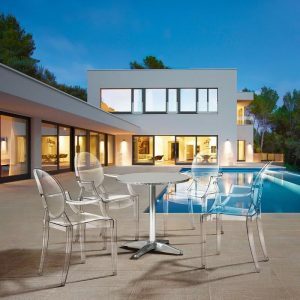 Imagine how lustrous your outdoors space would look like with these Anime Chairs, known by all out style and glamour. The epitome of a nouveau classic, the body is molded from polycarbonate or Lexan, which is commonly used as bullet proof glass and is UV resistant. The Anime series comes with a two year commercial grade warranty against cracking and fading. The chairs are also stackable for easy storage. To complete the look, an amazing choice would be the Christabel Round Table, which is perfect for drinking a cup of coffee and updating the blog. The polished aluminum Christabel series is the ultimate cafe table. 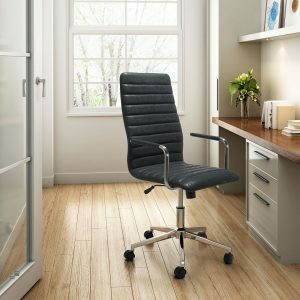 The fun and functional Trafico Office Chair combines a modern and transitional look. The Trafico office chair is made from a solid chrome frame, leatherette sling seat and arm pads, a chrome base, and an adjustable height mechanism. Welcome back, we’ve missed you! If you’re thinking of starting a new business or expanding your current one, then we might have and idea for you. 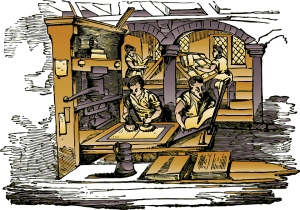 Today we are going to talk about another printing method in this industry – as you migh be getting used to so far! Our forth entry to this series is concerning one the cheapest and fastest techniques around at the moment, which you have probably guessed by now since it’s mentioned in the title! This process prints your designs onto a custom, transferrable vinyl material. This printed material is then transferred onto the garment with the use of a commercial press. It enables full color images to be printed very quickly and is a great option for promotional. What Are The Pros And Cons Of This Techniques? Have a look at the video below for more printing delight! 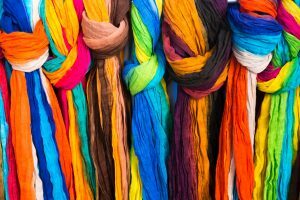 Hello again and welcome back to our Printing Techniques blog series, where we will explore diverse printing methods around the clothing and accessories industries. For our third entry we are going to talk about Direct to Garment Printing, or DTG! 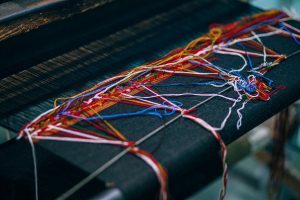 Maybe you’ve heard about it in such a form, maybe you have not… but this technique is the process of printing full-color images onto garments. What are the uses for DTG? 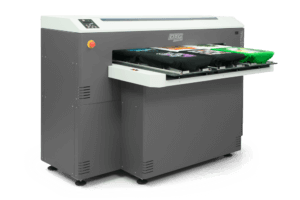 Due to its less expensive setup DTG is perfect for short runs of full color prints onto a wide range of clothing. Direct to Garment printers have currently evolved exponentially and are now capable of handling complex prints and a variety of garments, providing a perfect finish for occasional prints.